FIT FOR A KING AND PERFECT FOR A FAMILY! Boasting over 5,500 square feet of privacy and resting on 1.87 acres at the end of a cul-de-sac in the exclusive gated community of Alvarado Estates, you will find the quality of life you have been dreaming of. This masterpiece property features a family-sized great room, a resort-style pool area, a large motor court in addition to an oversized 3-car garage, a small orchard of fruit trees, and an expansive park-like recreational grass area. Please see supplement. Beautifully maintained, this home was designed with family in mind. 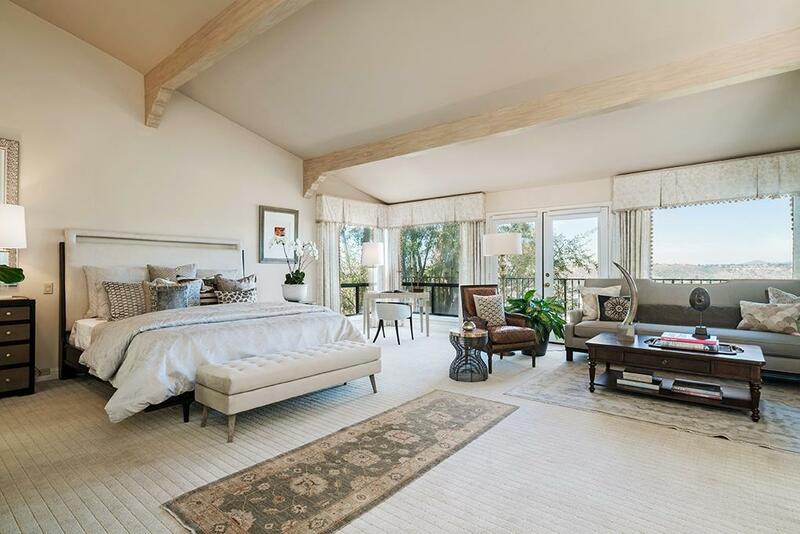 Enjoy a well-thought-out floor plan with the master suite on the main level graced by vaulted wood beamed ceilings, a private dressing area, master bath with dual vanities, and a sunken tub overlooking a private garden area. The impressive entrance hall boasts elevated ceilings, gleaming marble floors, dual skylights, and serves as a gracious entrance into the formal step-down living room with its exquisite, grand arched stone fireplace, gorgeous parquet floors, dramatic beamed ceilings, and open views. The large cookÃ¢â‚¬â„¢s kitchen enjoys yards of granite, stainless appliances, and an eating bar adjacent to the family dining area. Flowing seamlessly into the expansive great room, you will love the lofty beamed ceilings, book and display cases galore, a large stacked-stone fireplace, artistic stained glass windows, and a wonderful built-in wet bar perfect for gatherings large and small. The outside terrace off of this wing is ideal for family and entertaining. You will love the built-in outdoor kitchen with a stainless steel grilling station, sink, and an under counter U-Line refrigerator. Retreat to the family wing via an artesian forged stairwell. This floor enjoys a separate bonus area perfect for an office or playroom, 3 bedrooms, a wonderful game room with built-in, and a large spa-like bathroom inclusive of a large sauna and jetted spa tub for use by pool or game room guests. The 40-foot pool and spa is surrounded by an impressive terrace with outside entertaining areas, and multiple hardscaped patios sun-lit and shaded. If you love avocados, oranges, tangerines, grapefruits, macadamia nuts, Dorsett apples, pears, figs, and so much more, this is the property you have been looking for. Did we mention easy freeway access and only a short drive to Mission Valley, the zoo, Balboa Park, Francis Parker, and beaches? You will love this premium location! Alvarado Estates is one of the best-kept secrets in San Diego. 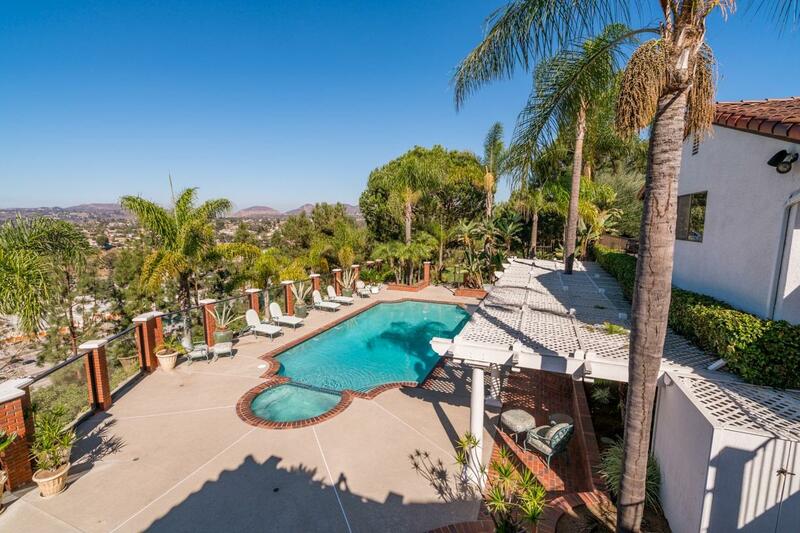 This gated community is perched on a plateau above Mission Valley centrally located in San Diego, but offering the privacy and serenity of a living close to nature. 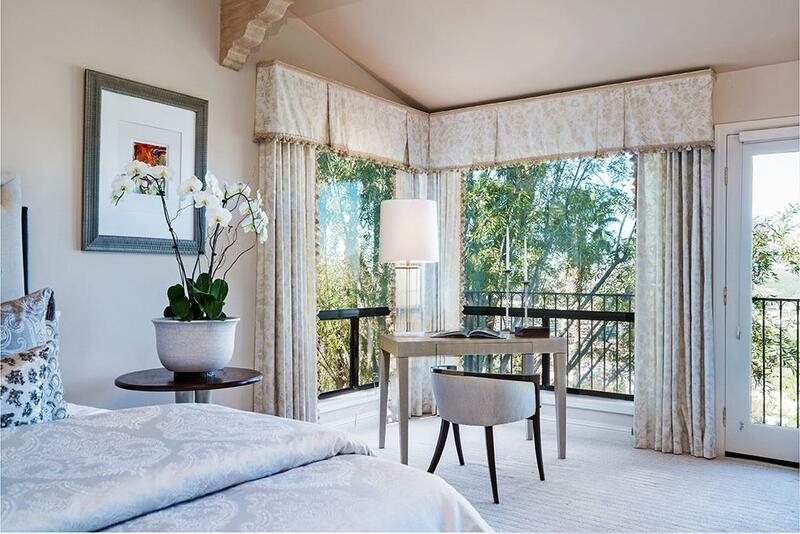 All homes in this development are on one or more acres of land and take full advantage of the gorgeous canyon views. Featuring their own community park, dog park, putting green, beautifully designed homes, and social activities, Alvarado Estates is a warm and friendly community with peaceful surroundings.